Hartford, CT -The Hartford Yard Goats (15-12) rallied back from an early deficit for the second straight night, defeating the Portland Sea Dogs (7-16), 5-4 on Friday night at Dunkin' Donuts Park. Trailing 1-0 after one inning, the Sea Dogs would score the next four runs. Jeremy Rivera blasted a three-run homer off Jack Wynkoop (W, 1-1) in the third inning. Rivera has hit both Double-A homers against Wynkoop. In the fourth, Danny Mars (2-for-4, two 2B) nailed a run-scoring double. Wynkoop earned the win, working six innings on seven hits, four runs, one walk and five strikeouts. Hartford would answer Portland's four-run rally, by scoring the final four runs off losing pitcher Mike Shawaryn (1-3). In the fifth, Yonathan Daza delivered a two-run double to bring the Goats within one run. Brendan Rodgers reached on a throwing error by Rivera to tie the game. In the sixth, Shawaryn left the game after back-to-back two-out walks and relieved by Jordan Weems. Weems was a position player with Portland in 2015-16. The righty allowed the game-winning hit to Wes Rogers. Cole Sturgeon continued his torrid pace to start the year. Sturgeon went 3-for-4 and had reached base safely in all 22 starts this season. 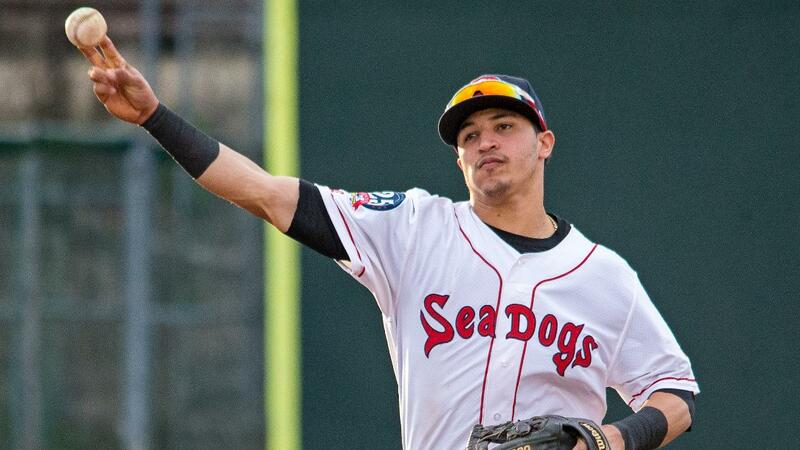 The Sea Dogs and Hartford Yard Goats (Rockies affiliate) continue their four-game series on Saturday night at Dunkin' Donuts Park. Lefty Dedgar Jimenez (0-2, 4.85) makes his fourth start of the year for Portland. Hartford sends righty Ryan Castellani (2-1, 2.05) to the hill. Radio coverage with Mike Antonellis begins at 5:50 PM on the U.S. Cellular Sea Dogs Radio Network.